Ham Fen- A Beaver's Tale. Ham Fen - A Beaver's Tale. 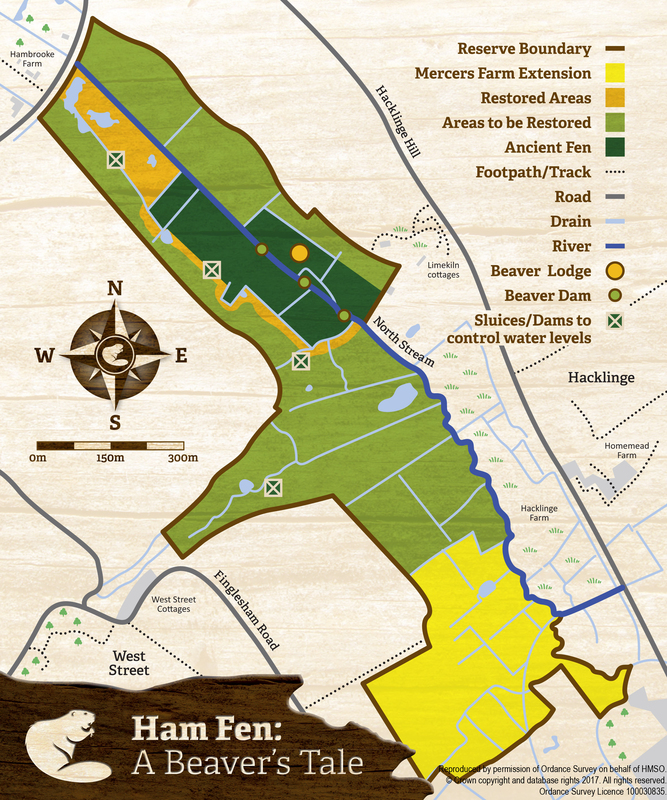 This year we have purchased a new 33-acre extension at Ham Fen, Kent's only Fenland and home to the incredible beaver. With your help, we can increase the beavers territory and further our work across the fen. Every £100 helps us protect 456 square metres, and we can only get to work on the restoration with your help. Your help can see us remove earth and add artificial dams and sluices to raise water levels, encouraging the beavers to build their lodges and dams in new areas of Ham Fen. Excitingly, we could also see the return of long lost species such as the marsh fritillary and fen orchid, and even the introduction of the crane. Our work this year can see us restore a 33-acre extension at Mercers farm, as well as wider restoration work across the existing reserve. This will raise the water levels, allowing beavers to move to new areas of ham fen, and create the fenland habitat for the species we already see there, as well as encourage long-lost species to return. The beaver's tale is a sad one- once numbering an estimated 400 million worldwide, they were hunted throughout the world for their fur and scent glands. They became extinct in the UK in the 16th century, and there were just 1200 of them left in Europe. However, conservationists soon realised that Beavers were a keystone species- an animal that plays a unique and crucial role in its ecosystem- and plans were made to reintroduce them to the UK. In 2002 beavers were transported to Ham Fen from Norway, and since then they have transformed the site and its waterways, back to how they would naturally have been. Studies recently have shown that beavers are hugely beneficial to other animals in their ecosystem. 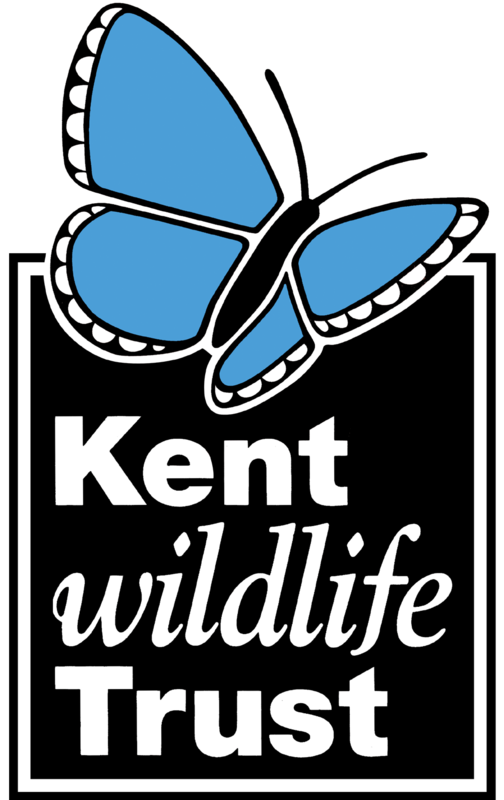 Fish, water vole, birds such as the kingfisher, and even bats benefit from the beavers' endeavours. The Beaver's dam truly is a wonder of nature. Beavers tend to work by night and can build their dam incredibly quickly, with sticks and compacted mud. The first thing the beaver must do is to change the water route so it eases the pressure on the place where they wish to build their dam. Beavers can carry their own body weight in materials so can quickly build up impressive structures. The Beavers live in lodges, constructed with the same materials as a dam. They have underwater entrances to protect them from predators. They like to have two rooms in the lodge- one for drying off and one where they spend the majority of their time. A lodge usually houses up to 4 adults and their juveniles. Unlike other rodents, beavers are monogamous and spend several years with the same partner. Both male and female beavers help bring up their offspring. Baby beavers tend to stay in the lodge for the first month before venturing outside. They do try and mimic their parent’s activities, but also spend a lot of their first year playing. Again, fairly unique for rodents, two-year-old beavers will help protect the next years young, by feeding guarding and grooming them. As you can imagine, due to the incredible work they put into their lodges, dams and surrounding areas, beavers can be fiercely territorial. If they pick up the scent of another beaver, the will prioritise finding the intruder over anything else. Beavers mark their boundaries by scents- the more they are scented the less likely they are to be intruded. A fascinating aspect of their territories is that they are less aggressive to immediate neighbours as they get accustomed to their scent. They are far more likely to attack strangers who enter their territory- for the beaver it is better the enemy you know. Fen is wetland consisting of partially decayed mineral-rich alkaline organic material – called peat. Waterlogging and the lack of oxygen create the anaerobic conditions that lead to peat formation. The alkalinity and associated water promotes a high diversity of characteristic and specialised plants and animals over long periods of time. Fenland supports a range of wetland habitat from open fresh water, wet grassland, marsh with reed and sedge swamp, going through to wet woodland dominated by aspen, willows and alder. The alkaline fens and acid peat-lands took thousands of years to form after the last Ice Age. Most have largely been lost since the onset of the British Agricultural Revolution from 1750 onward. In excess of 95% of ancient species-rich fenlands have been lost across the British Isles and Western Europe. Ireland has lost its entire species-rich alkaline peat habitats. In England ‘The Fenlands’ of East Anglia are reduced to a few isolated high and dry “hilltop” relicts’, amidst a sea of the most intensively farmed arable wildlife desert on Earth. In many cases, water has to be pumped up several metres and over distance to maintain these fragile relict fragments. The peat formation nestles within a chalk valley and covers some 300 acres of peat-land, with an additional 100 acres of peat-land extending eastwards into the Lydden Valley Wetland. Within the Ham Fen Basin the peat has an average depth of 20 feet [6m]. Ham Fen has the advantage of lying within a valley where water retention and not water pumping is the key to restoring and maintaining the wetland – unlike the East Anglian remnant fens. Ham Fen is the last surviving ancient fen habitat in Kent. The reserve was established in 1991 by KWT and currently covers 100 acres [40 ha]. Considerable damage was caused by two major episodes of land drainage in the 18th century and early 1980s followed by neglect, which led to significant habitat deterioration and loss of wetland species. Marsh fritillary butterfly and fen orchid were lost well over 100 years ago, along with many other species. We have purchased a 33 acre extension at Ham Fen, which will greatly expand the current reserve, and create new habitats for a range of Wetland species. Our work will help to raise water levels and recreate fenland habitat across a wider area and will benefit some of the iconic species you can already see there, such as the kingfisher, heron, water vole and southern marsh orchid which only recently returned to the site. In the future we want to see the return of species which were lost over 100 years ago at the fen- the marsh fritillary butterfly and fen orchid, and we could even see a reintroduction of the crane, which has successfully returned to other similar habitats in the UK. Of course the beavers will continue to play a crucial role. Currently there are areas of Ham Fen that the beavers haven't colonised due to the low water levels. For us to entice them into these areas will will need to create our own sluices and dams. They will then see the area as somewhere they can live, and will continue to maintian and raise the water levels without our management being needed.